Buffeted by humanitarian crises, the Republic of Congo has a weak health system and a high maternal death rate, even though trained personnel attend most births. To accelerate development, the Government is committed to free maternal and child health care as well as gender equality, both goals supported by UNFPA. 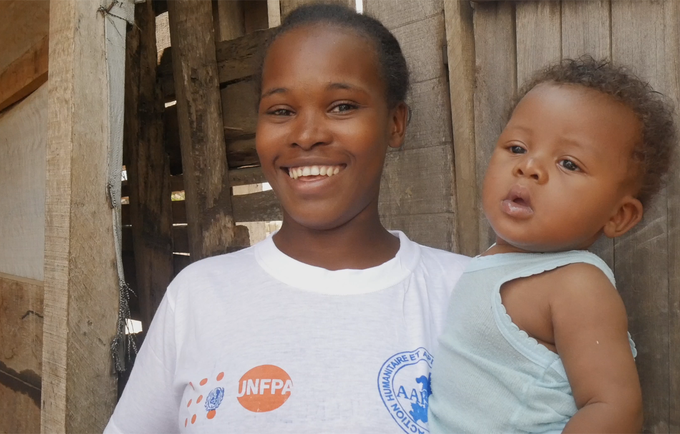 Active in the country since 1972, UNFPA has helped reduce maternal mortality, increase contraceptive prevalence and lessen HIV/AIDS rates. Current programmes focus on better health for mothers and newborns, including in indigenous communities. They promote family planning, and reproductive and sexual health education for young people.